The rent at Rustic Village Apartments ranges from $915 for a one bedroom to a $1,130 two bedroom. Apartments in this building are about 11% less expensive than the Brighton average. This is a pet-friendly apartment. This apartment is in Brighton. The closest park is Meridian Centre Park. Rustic Village Apartments has a Walk Score of 45 out of 100. This location is a Car-Dependent neighborhood so most errands require a car. WINNER OF THE ROCHESTER CHOICE AWARDS 16 YEARS IN A ROW!! Make your new home in our 100 acre park-like setting. Apartment community conveniently located in Brighton, a suburb of Rochester, New York, Rustic Village Apartments offers one of the best locations you'll find anywhere - close to work, a wide array of cultural events, shopping of every kind, dining, entertainment, and year round sporting events. We are close to countless services and products that make life easier and more enjoyable. We also offer a large array of indoor and outdoor amenities for all of our residents to enjoy. Explore how far you can travel by car, bus, bike and foot from Rustic Village Apartments. Rustic Village Apartments has some transit which means a few nearby public transportation options. 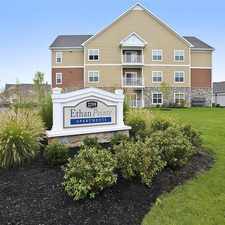 Rustic Village Apartments is in the city of Brighton, NY. Brighton has an average Walk Score of 29 and has 36,609 residents.